Are you looking for a day trip to remember? Stick around! Although Freeport Maine is renowned for its' shopping, there is much more to do in the town of Freeport than visit the outlet stores. With that in mind, today we're going to go on a tour of some of the best places to visit in Freeport Maine, including the only actual desert in the state of Maine! In Freeport, you'll find a number of historical points of interest, in addition to shopping galore. The picturesque coastal Maine atmosphere provides a number of opportunities for photos and sightseeing. If you don't mind an easy drive of an hour or so, you are going to find that this is a perfect day trip from York. I never mind the drive, particularly in the winter when we head up to Freeport for the day and come home loaded with bursting bags of post-Christmas bargains and a belly full of Buck's Naked BBQ! Thinking of making it more than a day trip? Search for great Freeport Maine vacation rentals right here! Freeport Maine is approximately 60 miles from York, and they're just about all highway miles. The Maine Turnpike (Route 95 north) will take you to Portland, and Exit 52 brings you onto I-295 North/Falmouth/US-1/Freeport. From I-295, take the ME-125/ME-136 exit, EXIT 22, toward Freeport. Turn left onto ME-125/ME-136/Mallet Drive, then turn right onto Main Street/US-1/BLUE STAR MEMORIAL HWY. Hey, look at that! You're in Freeport Maine - let's go to LL Bean! Freeport is in Cumberland county, Maine, and located just to the north of Portland Maine. Route 1 is the main street in Freeport, bisecting the town. Originally, Freeport was part of North Yarmouth and was referred to as Harraseeket. The name originated from the Harraseeket River, and the name survives in one of Freeport's most famous inns, the historic Harraseeket Inn. The first non-native settlers arrived in the 1700s. Throughout the 1700's, Freeport served as the meeting place for American colonists. In fact, people often met in the Jameson Tavern that now sits next to LL Bean in order to debate separation from Massachusetts. Therefore, many credit the village as the "birthplace of Maine." The town experienced an accelerated rate of growth within the eighteenth century. Presently, the three villages forming the National Register Harraseeket Historic District remain as historical remnants from the first half of the nineteenth century. This includes Mast Landing, Porter's Landing, and South Freeport. Freeport Maine has about 170 premium outlet stores. Here's an understatement; it takes a while to get through them all. I usually spend at least an hour alone in the Yankee Candle outlet in Freeport - come to think of it, it's December as I write and the house is filled with Yankee Candle's "Red Berry and Cedar", purchased at none other than the Yankee Candle outlet in Freeport Maine! 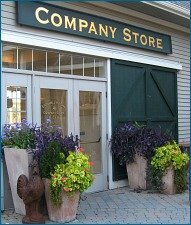 In addition to the names we all know like Yankee Candle, there is a range of fun, unique boutiques, as well as specialty shops with terrific locally made products. LL Bean remains one of the most notable merchants within the area, and yes, they're open 24 hours a day, 7 days a week, 365 days a year. For those who want to make a night of it in Freeport, you'll find a number of country inns like the Harraseeket Inn, as well as name brand hotels and motels such as Econo Lodge and Holiday Inn Express. Looking for a fantastic bed and breakfast, Freeport Maine style? 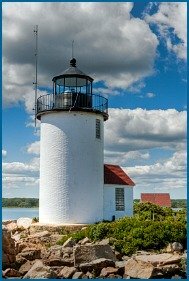 Plan Your Next Romantic Getaway with BedandBreakfast.com ...they often have good promotions and specials on Maine B&B's. Freeport also has an expansive variety of restaurants and cafes, as well as other eateries to choose from. As for my own favorites, we love the barbecue at Buck's Naked BBQ. You heard me, Buck's Naked - right on Route 1. If you want to stay near the outlets to eat, Jameson's Tavern is right next door to LL Bean. The Harraseeket Inn has both a casual tavern with upscale pub fare and pizza, and a beautiful formal dining room. Freeport's Azure Cafe boasts a chef who won "Maine Lobster Chef of the Year" in 2010/2011 and an Award of Excellence from Wine Spectator. In Freeport Maine, there is a range of different outdoor adventures to enjoy. This could involve taking any one of a number of lessons, such as fly-fishing. In addition, enjoy the scenic coastline, botanical gardens, parks, and sanctuaries. Or visit the singular Desert of Maine. 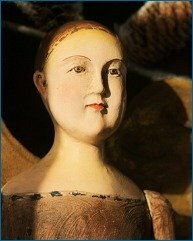 An unforgettable and highly interesting Maine tourist attraction, the Desert of Maine is...dare I call it a Freeport must-see? I dare. Trooping around in a Maine desert might make you thirsty - for vodka. Or gin. Well, it might, and if the kids get to go to the Desert of Maine, then Mom and Dad get to tour the distillery - Maine Distilleries in Freeport Maine. 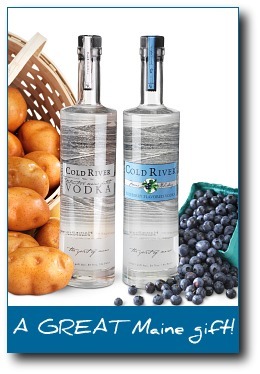 I kid you not, award-winning Cold River Vodka and their new (2010) Cold River Natural Gin by Maine Distilleries are some of the best distilled spirits in the world. Rated the Number 1 Vodka in the world by Wine Enthusiast, named “a coming superstar” by spirits expert F. Paul Pacult, and winner of a Double Gold from San Francisco’s World Spirits Competition, Cold River Classic and Blueberry Vodkas continue to earn regional and national attention. I didn't even like vodka until Cold River made me a believer. This is the only "ground-to-glass" distillery in North America and well worth the visit (ground-to-glass means everything is done right here in Maine, from the growing of the potatoes to the final bottling). Depending on the time of year, Cold River offers various opportunities and tours of their distillery. Learn about some of the distillation processes, in addition to trying various types of vodka and gin. Freeport Maine contains a number of historical points of interest. For those of you interested in exhibits and archives, you're going to want to visit the Harrington House Society. Another place with exhibits is the 19th century Pettengill Farm. This saltwater farm features a number of exhibits from coastal Maine farm life in the 19th century. The gallery is located on the first floor of a renovated 19th century barn. Over 30 of the paintings are by Carolyn, along with the addition of new paintings on a regular basis. This is the perfect stop for any art lover. Freeport Community Players allows local amateur actors to perform in roles in which are often only cast to professionals. In general, they offer a range of different theatrical performances aimed at encouraging and promoting the theater arts. Depending on the time of year, Freeport Performing Arts Center hosts a range of different events, such as speakers, shows, concerts, in addition to a number of other events having to do with music, art, and entertainment. If you are looking for something for the kids to do, then consider Smudge. They offer morning preschool classes, drop in hours, as well as Friday night Dinner and Art. Atlantic Seal Cruises offers spring and summer cruises daily. The Eagle Island Adventure takes you on a historical trip through time as you visit the museum home of Admiral Peary. You'll also have the opportunity to watch for seals, in addition to enjoying the island trails and doing some beachcombing. On the other hand, the Seal and Osprey Watch allows you to observe Maine's seals and their nesting sites, while allowing you to enjoy the beauty of Casco Bay. Offers a full service paddling shop, and caters to all the gear and accessories needed for canoeing and sea kayaking. In addition, they have a range of rentals, tours, sales, instruction, in addition to expeditions to offer.